Author David Bramwell (No9 Bus to Utopia, Cheeky Guide to Brighton, The Odditorium) gives a fascinating talk that weaves in magic, memory, occultism, the history of spiritualism, shamanism, Britain’s weirdest museum (the Pitt Rivers) and psychedelics. Attempting to answer the question – what does magic mean to us in the 21st century? – Bramwell’s unique journey begins with a personal quest involving a hundred-year old moustache in a box, bequeathed to him by an eccentric aunt. In a ten-year search to uncover the true identity of the moustache’s original owner, Bramwell’s quest first drew him to Brighton – its séances, spiritual churches and a seedy basement club – where he unwittingly became the host of a modern-day freak show. Beginning to believe that his hairy heirloom was possessed, Bramwell joined a cult and dabbled with the mind-altering drug ayahuasca, before meeting Drako Zarahar, a former Dali model who appeared to be mysteriously linked to his unique heirloom. As well as an an exploration into the nature of reality, The Haunted Moustache is also a supernatural coming-of-age story and an affectionate portrayal of some of Brighton’s greatest eccentrics. 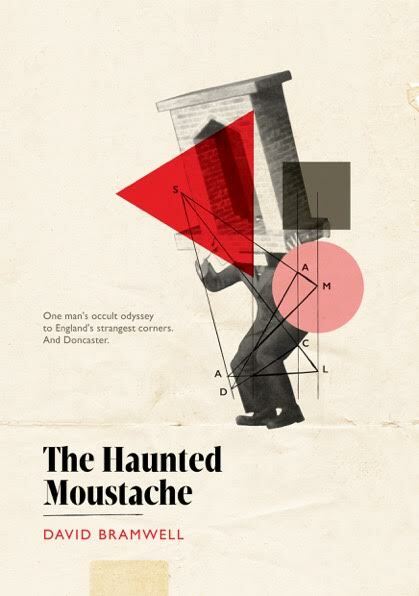 The Haunted Moustache started life as an award-winning one-man show (‘Outstanding Theatre’ Brighton Fringe Review 2009) and was dramatised for BBC Radio 3 in 2011and won a Sony Award for Best Feature.